You and I are a part of a story. In fact, we're a part of a lot of stories that are ultimately telling one story. At Mars Hill, we realize that every opportunity we have to be generous and express Christ's love plays a part in telling one of those stories. Because of your support we have seen stories of pain turn to joy, stories of death turn to life, and stories of despair turn to hope. God has shown us his goodness and we are grateful to work along side you as we take part in building the Kingdom of God on earth as it is in heaven. As a thank you for being a Story Teller, we want to share four of those moments with you from 2017. Our deacons worked hard to meet the need of a family in our church facing devastating hardships. 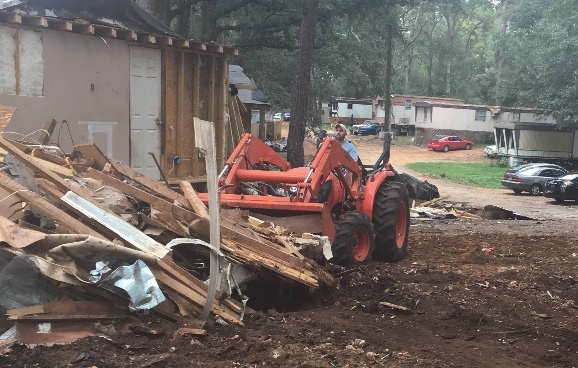 Their Mobile Home had constant roof leaks, dangerous structural issues and many other difficulties. We were able to provide a new Mobile Home to replace the old one and give this family a safe and warm place to live for years. We had the opportunity to work along side missionaries and local pastors in Masatepe, Nicaragua to meet a giant need in the city. One of the biggest issues facing the people of Masatepe is drug and alcohol abuse, mainly due to the high unemployment rate. We were able to provide the local pastors with all of the needed funds to purchase a self sustaining farm in Masatepe that will be used as a Christ-centered drug and alcohol rehabilitation program housing up to 60 men at a time. The local pastors and churches of Masatepe will use the program to meet the needs of the community while providing rehabilitation to men that will ultimately show them their deep need for the gospel. UPDATE: This past week the Pastors and local officials from Masatepe held an inaugural event to celebrate the launching of the addiction recovery center. They named the center "Luke's Inn" after the hidden hero in the parable of the Good Samaritan, The Innkeeper. The local pastors were not the only ones involved in this celebration. The new mayor and deputy mayor both attended the event to show their support for the center as well. A team of 8 to Nicaragua including some of our High School Seniors and College Students in the Spring. A team of 12 high school students to work in St. Louis, MO over the summer. 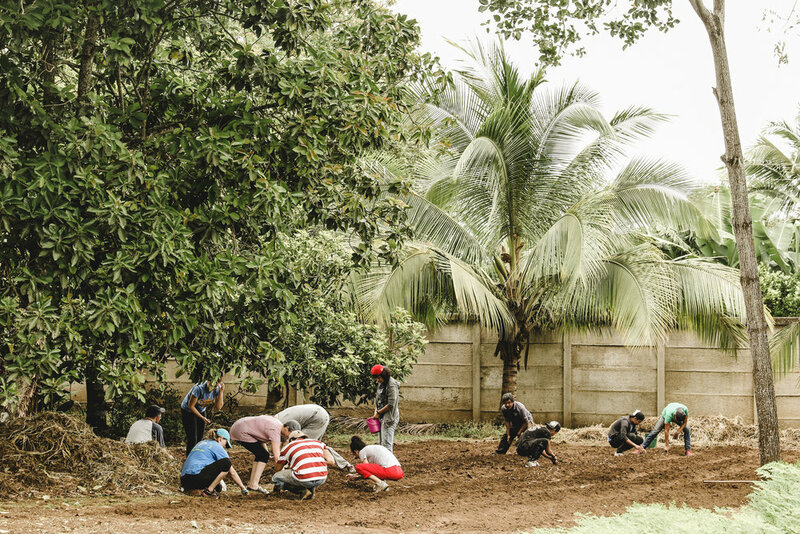 A team of 11 in the Fall to Nicaragua that built a home for a family on our farm opening the doors for our first group of recovering addicts to begin to heal and experience the power of the gospel. A team of Four traveled to Sarajevo, Bosnia to pray, search for potential people of peace that could lead the local church, and encouraging the full-time missionaries who are there. One of our Pastors went to Egypt with Open Doors Ministries to bring much needed financial support and encouragement to the persecuted church there in Cairo. We sent one of our college students to work with church planters in Salt Lake City, Utah as an intern. After serving there for several months, she felt God calling her to move there in a full time capacity to reach that largely Mormon community for Christ. We also supported 15 of our church members who served in various short term missions capacities both domestically and internationally outside of Mars Hill. We had the special opportunity to partner with the University of Mobile and the Southern Baptist Theological Seminary to house and train four pastoral interns who will receive credit for their Bachelors' and Masters' degrees after working with us for a year. Our staff has had the honor and responsibility to work with these young men and train them for future ministry in the local church. Mars Hill leased an apartment across the street from our Mobile Campus so these guys could grow and learn together as they prepare for the journey of church leadership. We hope to continue these partnerships and expand our influence to train and develop leaders. We are so grateful that we have the opportunity to be generous to the people around us and be a part of stories like these. You make this possible. Because of your generosity, and God grace, we are able to impact lives in our church, in our community, and around the world. Our goal is to increase the amount resources we send out every year, as the Lord grows our influence, expands our reach, and builds his Kingdom here on earth. If you would like to continue to be a part of these stories and more like them, click the link below. Older PostHas the Church Become too Confusing?